ARLINGTON, Va. — Responding to reports of poorly maintained and unsafe housing across several installations, Air Force Secretary Heather Wilson and Chief of Staff Gen. David Goldfein on Feb. 19 directed commanders at every base worldwide to conduct a “100-percent review” of the condition and safety of all military housing by March 1. Asserting that the housing conditions reported Feb. 13 during a Senate Armed Services Committee and in media reports “are not acceptable,” the Air Force’s two leading officials took steps to ensure that senior military commanders are personally aware of the conditions that exist in military housing at their bases. The effort, which began immediately, was the housing equivalent of a safety stand down. The goal is to conduct a 100-percent in-person health and safety check of all 74,500 family housing units in the Air Force. The results will give senior civilian and military leaders a more thorough understanding of the extent and severity of the problems and help inform responsive solutions. While witnesses at the Feb. 13 hearing told senators of appalling conditions that went unaddressed, Wilson and Goldfein also directly confronted comments about instances where the on-site management responsible for the housing ignored valid complaints. “Most troubling was the concern some families had that, if they reported a problem, they would face retaliation for speaking up,” Wilson and Goldfein wrote in their message to wing commanders. 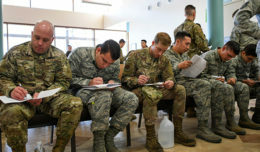 “The health and safety of our Airmen and their families is commander business,” Wilson and Goldfein bluntly wrote, adding that a “standard checklist” will be used to ensure consistency across the Air Force’s sprawling operation and to provide a blueprint for addressing the problems. 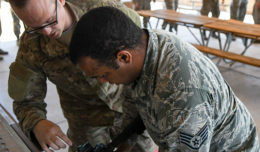 The directive also suggested that senior Air Force leaders will be responsible for identifying and helping resolve a host of problems in housing where Airmen and their families live. As described during the Senate hearing, those problems include the presence of black mold, rodent infestation, flooding, radon and faulty wiring. 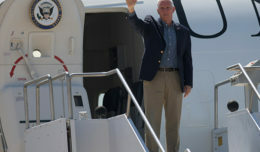 In addition to in-person reviews, Wilson directed the Air Force Inspector General to review how the Air Force responds to complaints about conditions at base housing. The Air Force is also conducting policy review to identify any directives that impede commanders from appropriately responding.